Ire is right. “Sorry” doesn’t bring him back and undo all that crying, does it, Rowling? 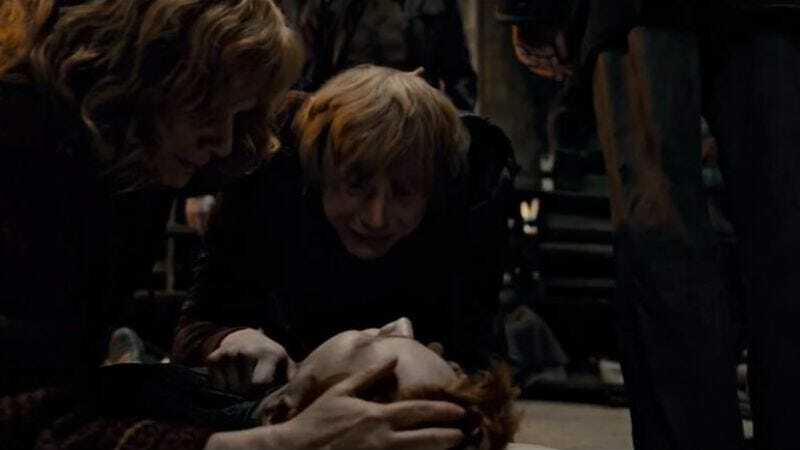 In a subsequent tweet, Rowling revealed that out of all the characters she’s killed—Tonks, Lupin, Dumbledore, Snape, Dobby, Hedwig—Fred’s is the first she’s apologizing for because it was the worst for her.